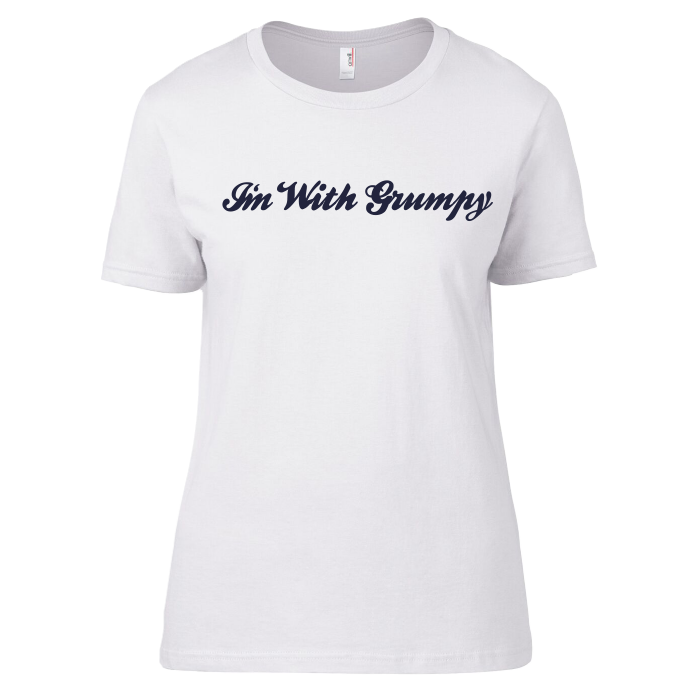 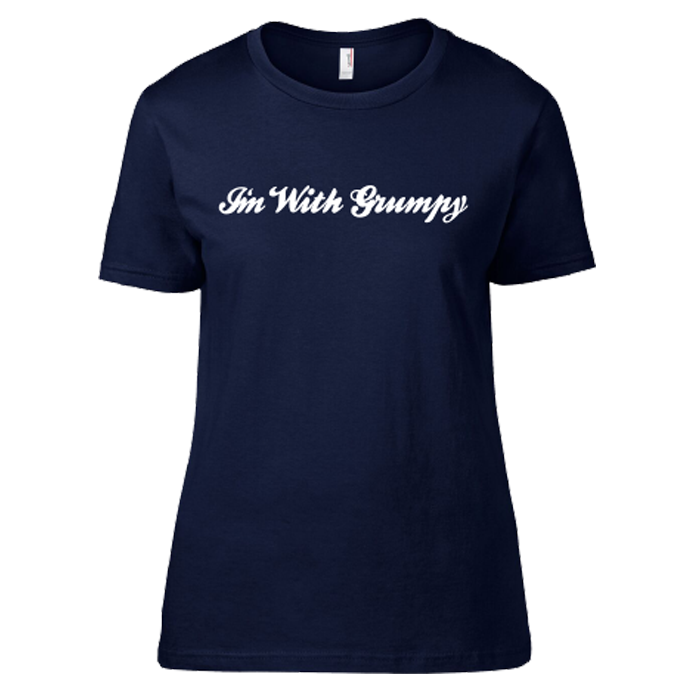 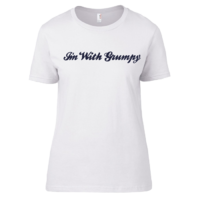 Designed and printed in Australia for Grumpy's lovely partner!! 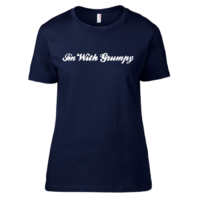 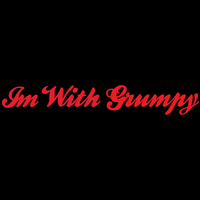 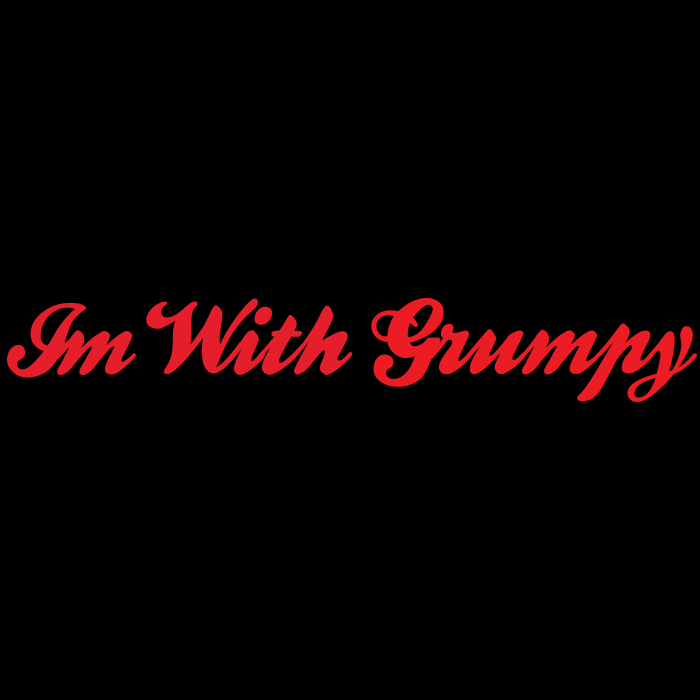 "I'm With Grumpy" in a beautiful lipstick red - Grumpy is Good.. 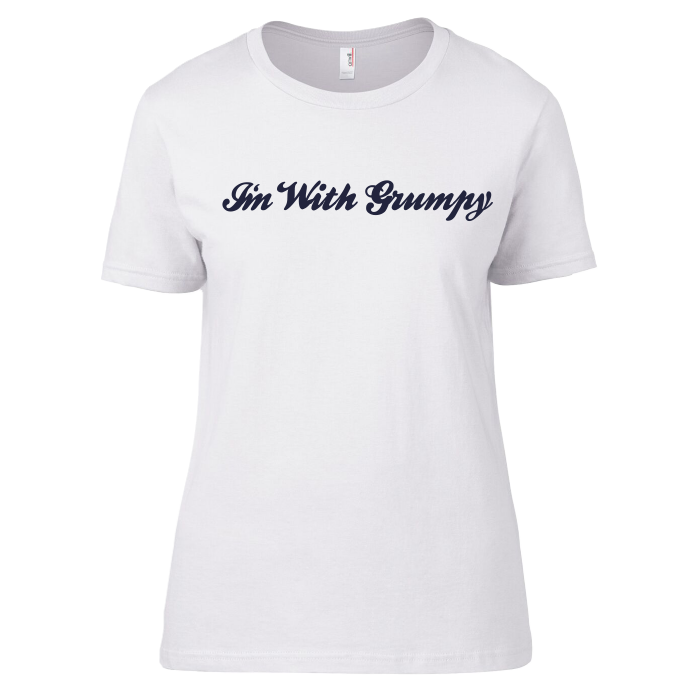 Printed on a scoop neck black 100% cotton high quality t-shirt.